The 2018 Academic Year has begun! 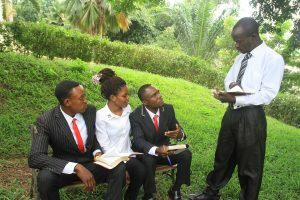 Pictured here are a few of the students being trained this year at End Time Harvest Bible College! 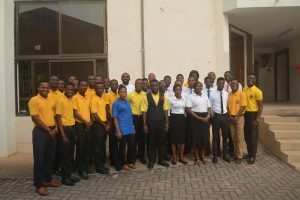 Thus far… 193 prospective FLAMING ARROWS are being trained and equipped in the Takoradi and Tarkwa Campuses!! Expanding God’s Kingdom through intensified outreach ministries. 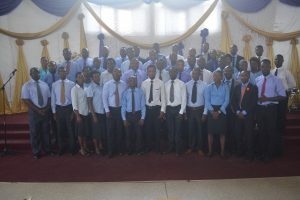 TOGETHER, we shall continue to march forward and invade enemy-held territory, as these men and women are trained and released into this world, preaching the gospel of salvation to a world that desperately needs Christ…bringing the supernatural power of God that heals and delivers to a world that is bound by demonic oppression, pain and suffering. TOGETHER . . . LET US BUILD!!! You may donate now by clicking on Donate Now at the top right of the page.